The Clay County repeater will soon be receiving an upgrade to the Yaesu System Fusion. We have purchased the new Yaesu system and will be getting it ready to install over the next few weeks. This system will allow traditional analog FM operations, and will also allow those radios equipped with the C4FM digital technology to access the digital capabilities. Look for the upgrade to be in place soon. ARES teams across Indiana conducted a Simulated Emergency Test on Saturday November 8, 2014. Each county EC received injects that directed them to complete certain tasks in a simulated emergency. The simulation involved a solar flare that had created numerous issues with power systems, water supplies, communications and other issues. District 7 participated with 7 of our 8 counties on board. The test well and station in our district were able to get emergency messages passed to the State EOC. We had over 40 participants take part. Thank you to those in Clay County and beyond that took time to practice our skills in responding to an emergency situation. The Clay County Team supported the Clay St. Vincent Hospital and the Clay County EMA during a functional exercise on June 19, 2014. The hospital was participating in a district-wide exercise to test emergency preparedness. 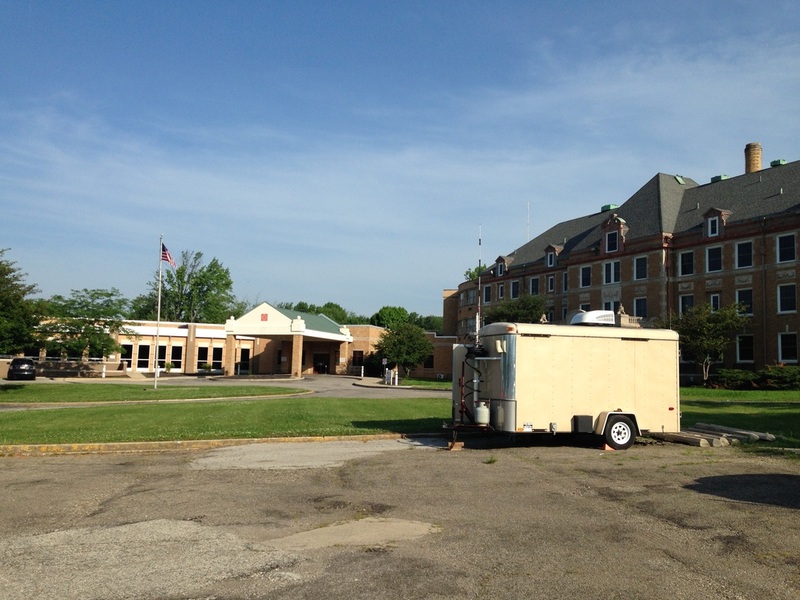 The group set up a comms trailer just outside the hospital, and had members in both the IC (Incident Command) at the hospital and in the EMA office. Just a few minutes into the exercise, the IC folks recognized that we had direct radio contact with the EMA and used us for traffic between the hospital and the EMA. Hospital staff was interested in our capabilities and indicated plans to include us as part of their response efforts. Congrats to the group for a job very well done!! The Indiana District 7 ARES/RACES teams participated in a statewide RACES drill on Saturday April 12, 2014. The exercise simulated a complete disruption of normal communications, leaving amateur radio as the only reliable means of communicating across the state. Injects were sent to IDHS using WebEOC with all information being relayed from county to county using ham radio. District 7 had a high level of participation and all of the participating counties completed their tasks during the exercise. Pictures in the photo album. event sponsored by the National Association of Town Watch (NATW), was held on Tuesday, August 5, 2014 at Forest Park in Brazil. Clay County ARES/RACES had a display at the NNO, and several visitors stopped by the to ask questions about the display. We had a morse code station set up and let kids learn to send their name using a key.